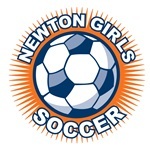 The decision to open or close fields is made by the City of Newton’s Parks & Recreation Department, in consultation with Newton Girls Soccer and Newton Youth Soccer officials. Please refer to our Unsafe Weather Policy for guidelines about closing fields and/or suspending play. Every effort is made to update the fields status on the web site (NewtonGirlsSoccer.org), Facebook (like Newton Soccer Fields), and Twitter (follow @NewtonFields), as needed, by 3 pm on weekdays, by 7 am on Saturdays, and by 11 am on Sundays. The status posted using these methods will remain in effect until a new status is posted. In other words, if the status is updated announcing that fields are open, they will remain open until the status message is changed. The primary reason for closing a field is player safety; playing soccer on a field that is muddy and saturated with water is dangerous and poses real risks of injury. Typically, the decision to open or close fields is only made once during a day (by 3 pm weekdays, 7 am Saturdays, 11 am Sundays). If field conditions worsen after the decision has been posted, it is incumbent upon coaches (or referees, if the activity is a game) to cancel any on-field activities. It’s not at all unusual for field conditions to be fine at 3 pm when the decision is made to keep fields open, and then have heavy rains make fields unplayable later that same day. In such an event, coaches and/or referees are expected to use common sense and cancel on-field activities. For games, whether intramural, BAYS or other organized league games, the referee has the authority to postpone a game in progress or before it has started based on field conditions, no matter what fields status has been posted earlier that day. However, no one–including referees– has the authority to open a soccer field that has been closed, other than designated Newton Girls Soccer and Newton Youth Soccer officials. Lightning is a serious danger. Thus lightning safety requires a large standoff distance from thunderstorms and a long standoff time after apparent thunderstorm decay. Thunder produced by a lightning strike travels one mile (1.6 km) every five seconds. Thus, counting the number of seconds between the visible “flash” and the audible “bang” and dividing by 5, provides the distance in miles. Employ the “30-30 Rule” to know when to seek a safer location. The “30-30 Rule” states that when you see lightning, count the time until you hear thunder. If this time is 30 seconds or less, go immediately to a safer place. If you can’t see the lightning, just hearing the thunder means lightning is likely within striking range. After the storm has apparently dissipated or moved on, wait 30 minutes or more after hearing the last thunder before leaving the safer location. What is a safer location? The safest place commonly available during a lightning storm is a large, fully enclosed, substantially constructed building, e.g. your typical house, school, library, or other public building. Substantial construction also implies the building has wiring and plumbing, which can conduct lightning current safely to ground. However, any metal conductor exposed to the outside must not be touched precisely because it could become a lightning conduit. Once inside, stay away from corded telephones, electrical appliances, lighting fixtures, ham radio microphones, electric sockets and plumbing. Don’t watch lightning from open windows or doorways. Inner rooms are generally preferable from a safety viewpoint. If you can’t reach a substantial building, an enclosed vehicle with a solid metal roof and metal sides is a reasonable second choice. As with a building, avoid contact with conducting paths going outside. Close the windows, lean away from the door, put your hands in your lap and don’t touch the steering wheel, ignition, gear shifter or radio. Convertibles, cars with fiberglass or plastic shells, and open-framed vehicles are not suitable lightning shelters.